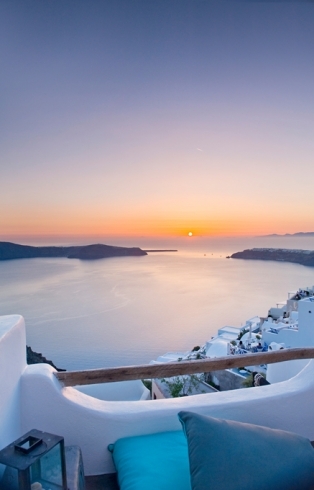 Few places we love revisiting as much as Santorini. 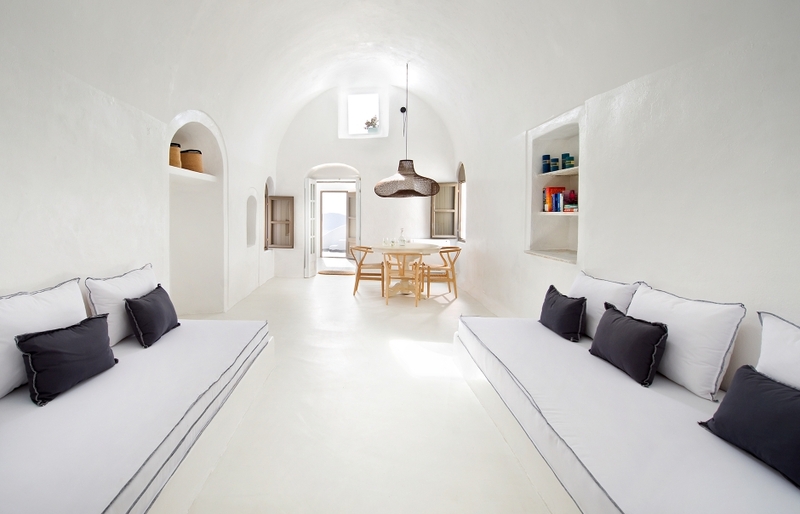 This is where Greek traditions, style, and hospitality meet contemporary design, coalescing into the perfect holiday destination. 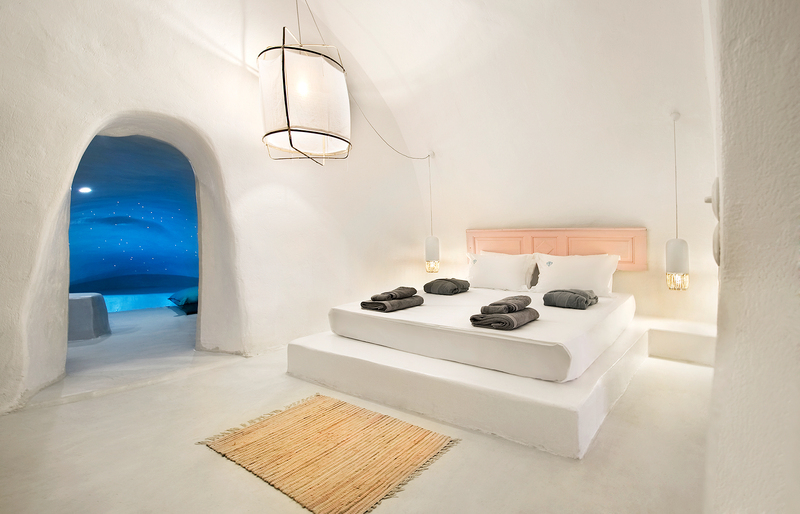 The island's best hotels mirror this unique mix of qualities—and so does Sophia Suites. 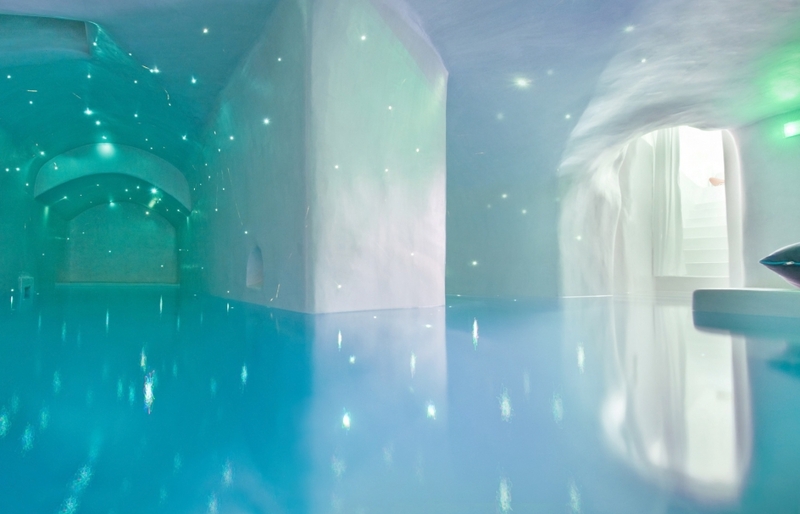 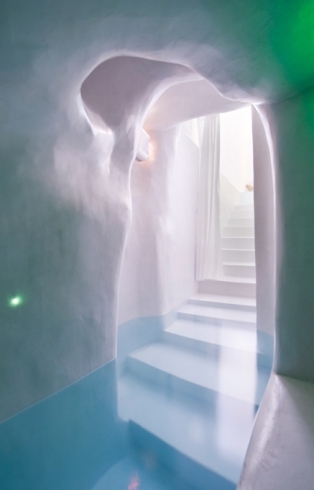 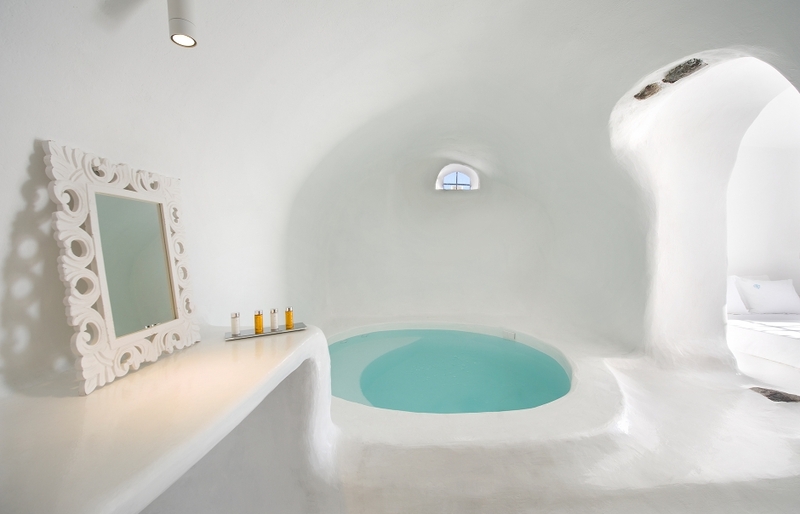 Santorini is famous for its caves, carved out of the volcanic rock. 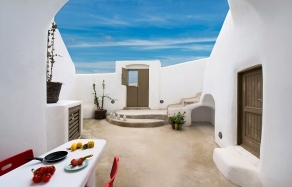 Many cliff-edge hotels make an excellent use of these dwellings, converting them to apartments and rooms. 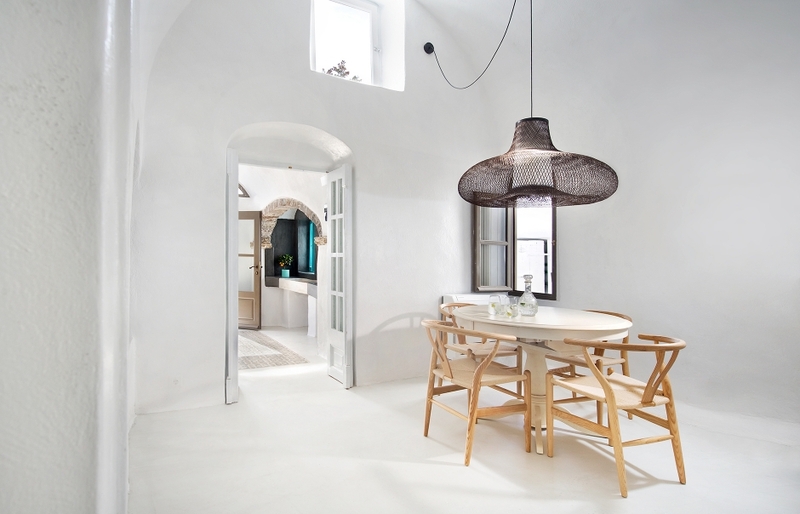 Sophia Suites is a great example of this trend. 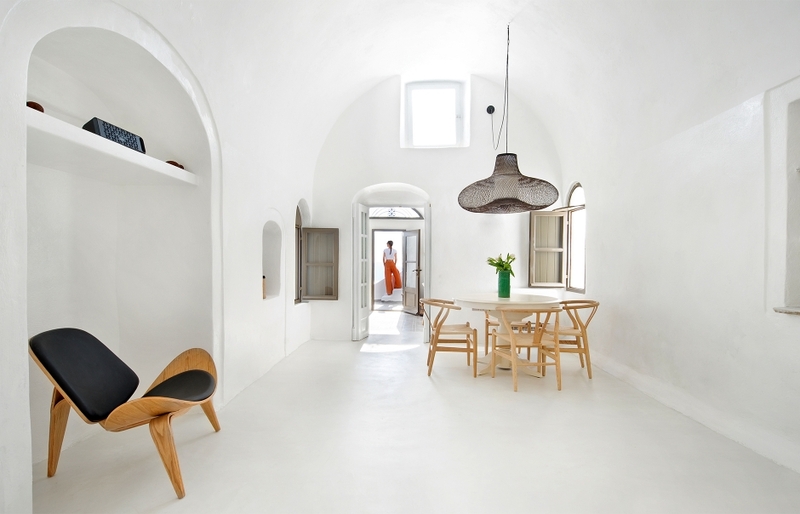 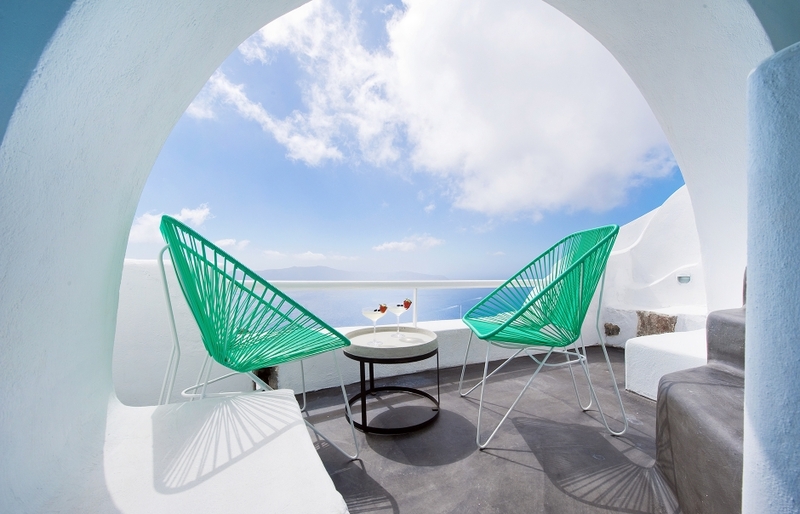 Being one of the newest Santorini openings, Sophia had the benefit of building upon the experiences of its competitors. 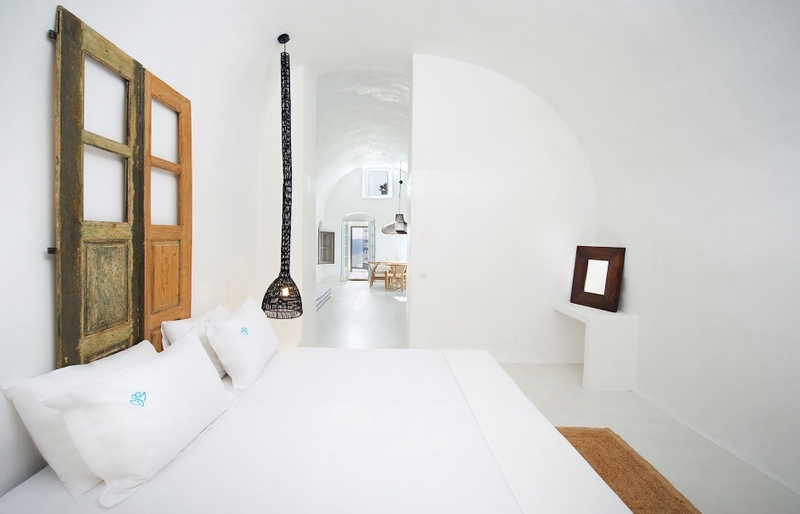 Carefully renovated and reconstructed, the thirteen individually designed rooms and suites are some of the island’s most immaculately designed. 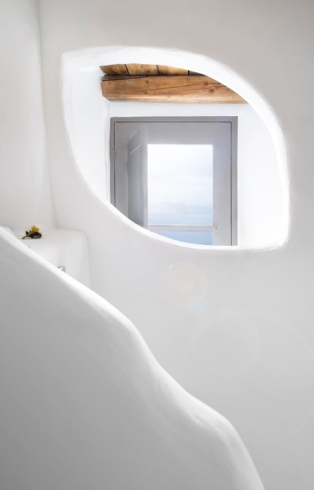 The hotel fuses organic shapes of the old Cycladic architecture with contemporary lines, resulting in the kind of natural, raw elegance that is at once authentic and sophisticated. 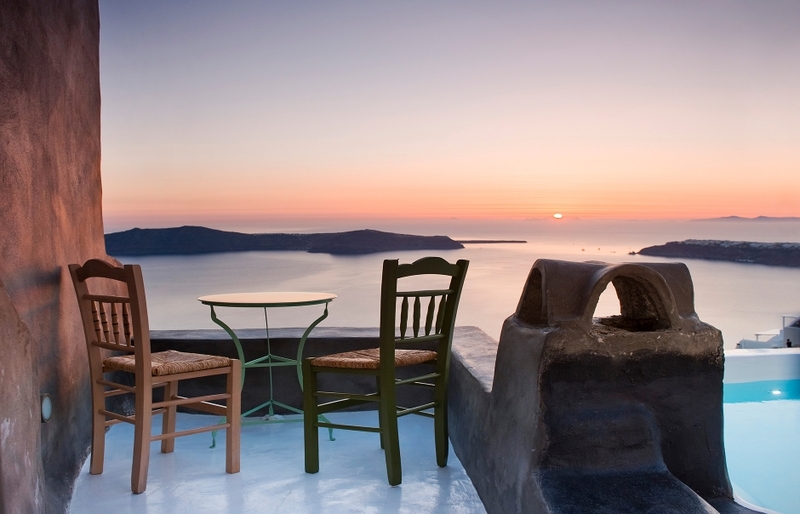 Santorini is like a box of treasured experiences. 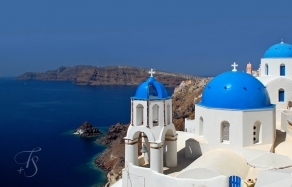 It enchants with its colours, shapes, traditions—and seascapes. 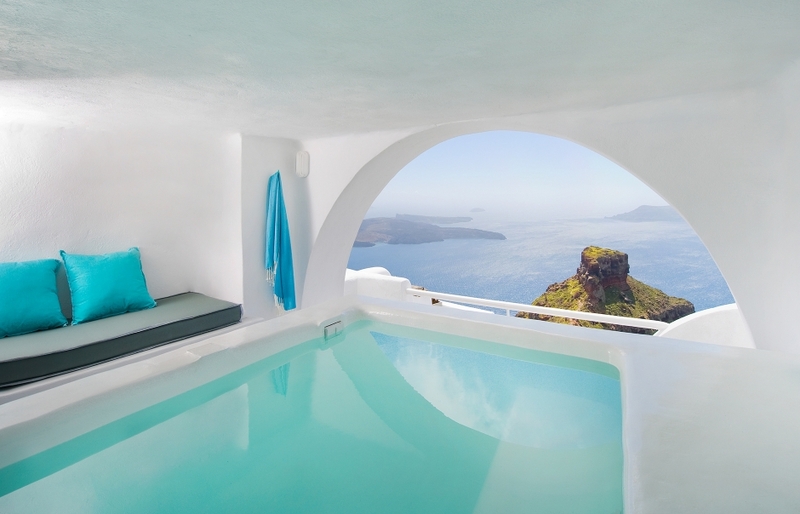 Sophia Suites reflect that, in a sense. 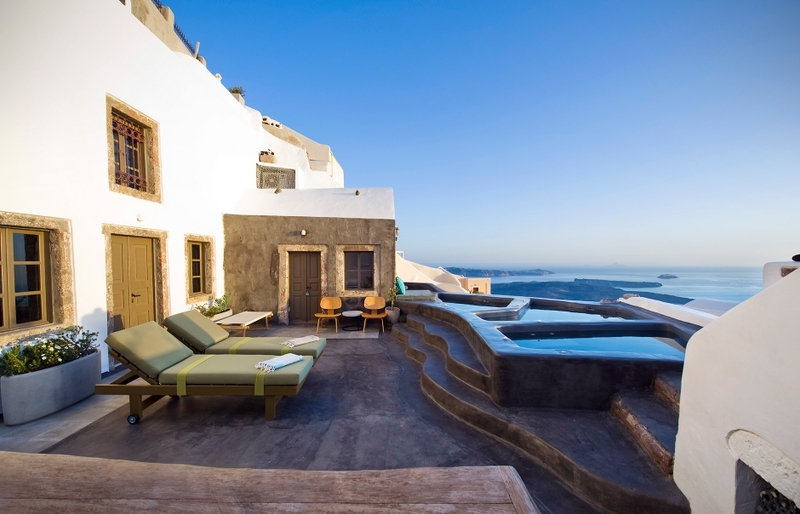 Clustered on the rocky cliff and linked by meandering pathways and staircases, the hotel forms a pretty hamlet that benefits from an excellent vantage point in the picturesque and quiet village of Imerovigli. 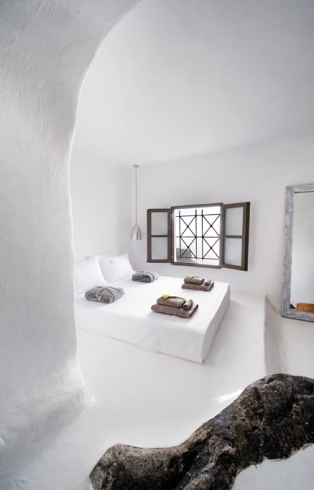 The beautifully designed guest rooms and suites are all very individual, creating unique spaces and allowing guests to discover the latest in contemporary Cycladean style. 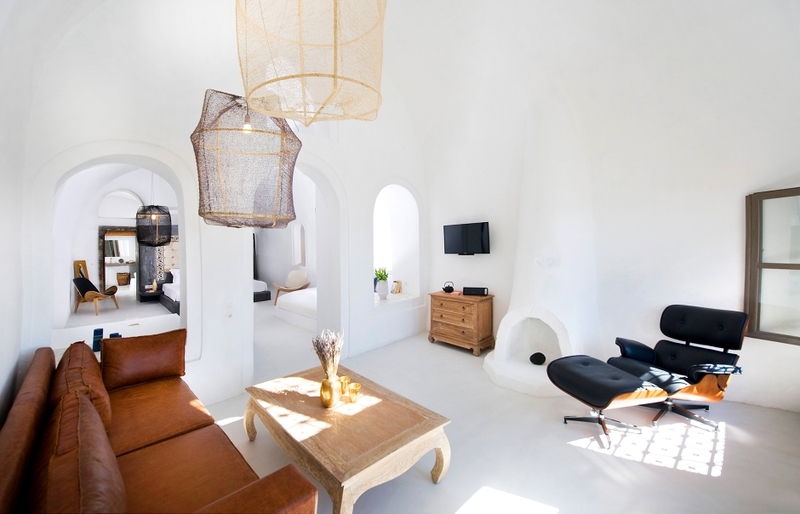 Minimal and earthly Mediterranean hues, romantic lanterns, outdoor heated build-in Jacuzzi and indoor cave pools, balconies and sumptuous bedrooms—Sophia surrounds its guests by luxury and comfort. 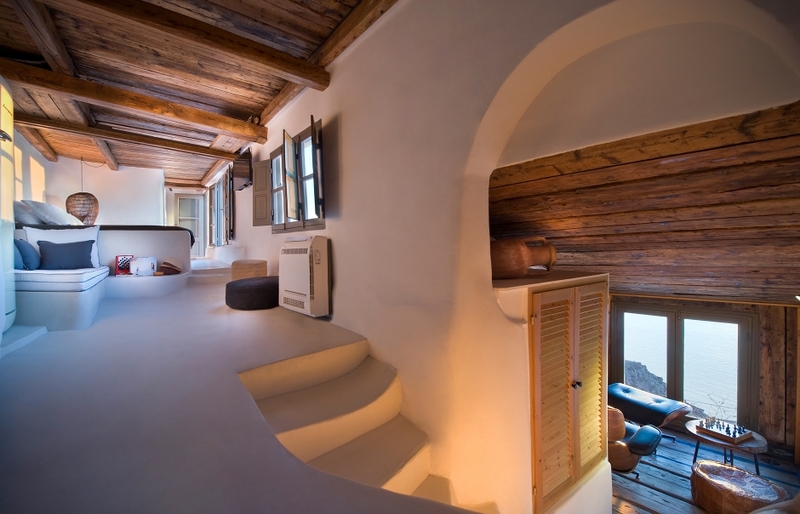 The suites of the hotel are supremely spacious, especially when compared to most of other Santorinian hotels of its class. 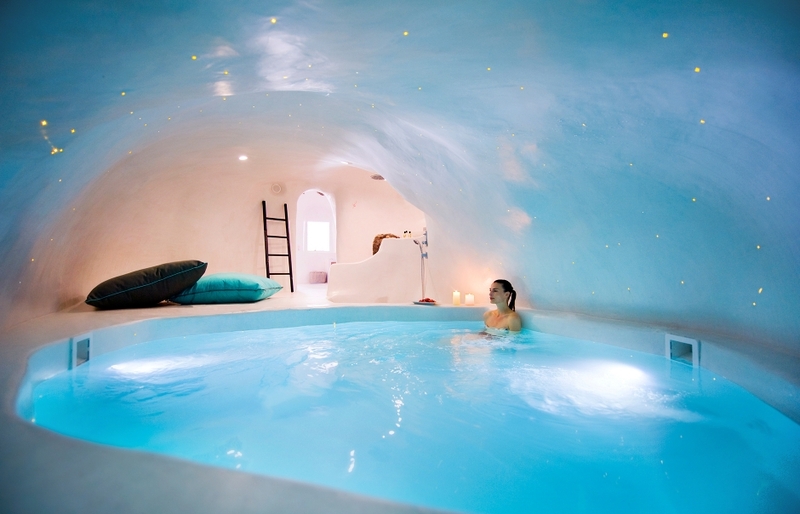 Two of them even have an indoor heated pool. 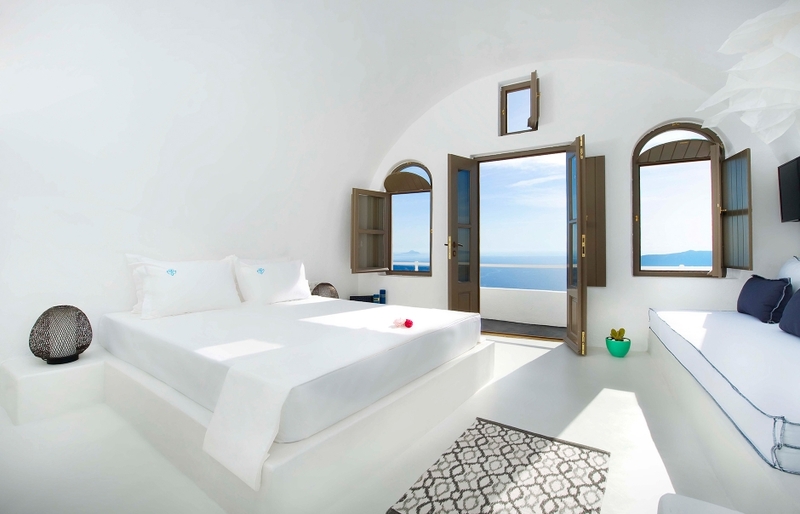 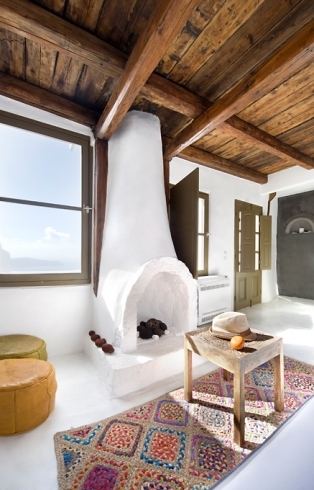 The rooms draw their style from whitewashed cave houses, but they also look out to the sea and the caldera—connecting the private spaces of guest rooms with Santorini’s great attraction: the iconic seascape. 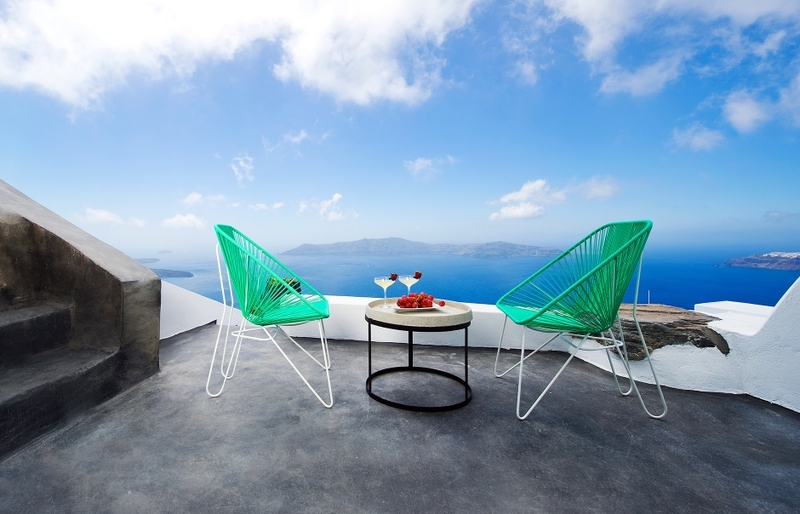 Exuding a feeling of intimacy and exclusive luxury, with the ubiquitous undercurrent of traditional Santorini style, the luxury suites of Sophia promise an elegant living—with awe-inspiring views of the sleeping volcano. 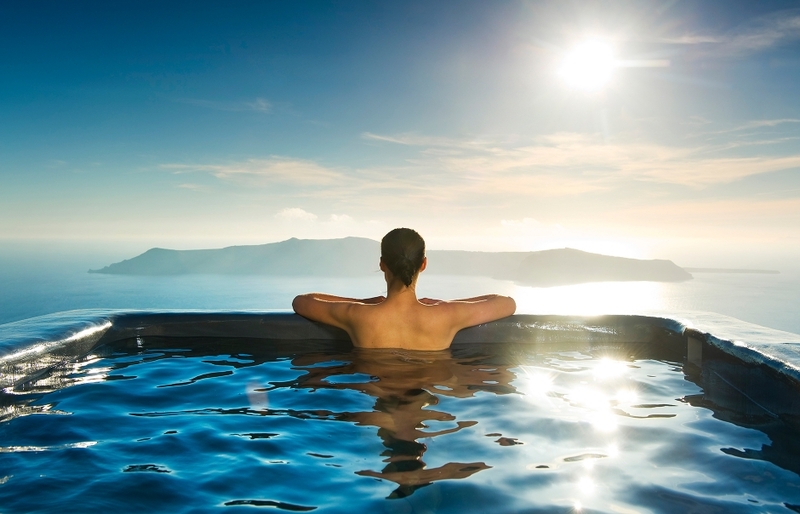 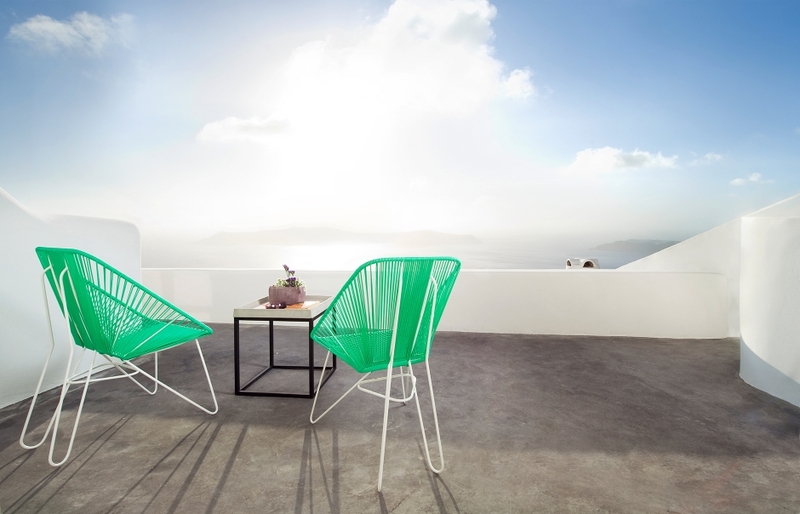 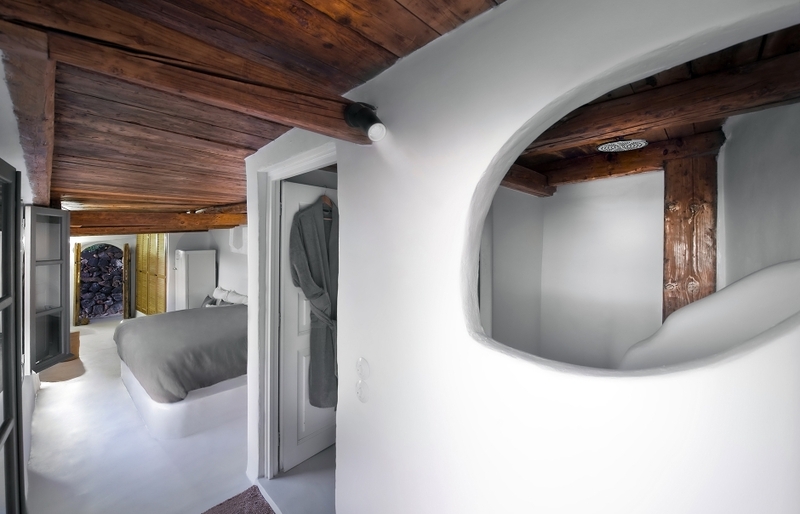 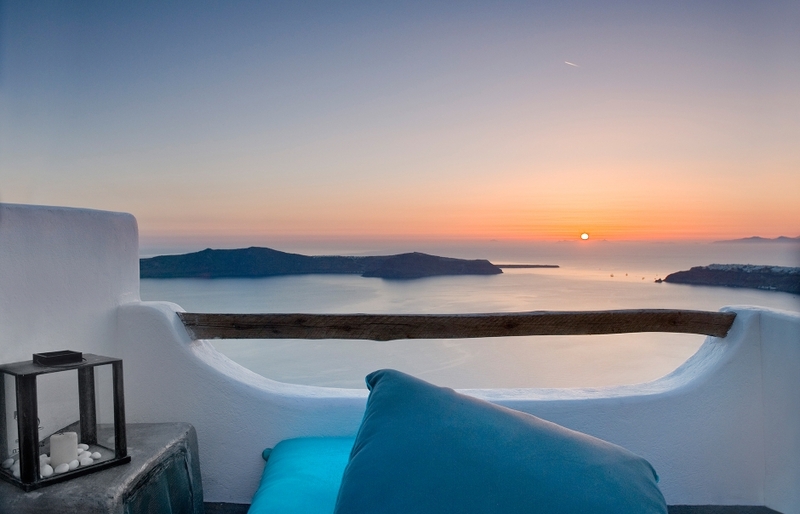 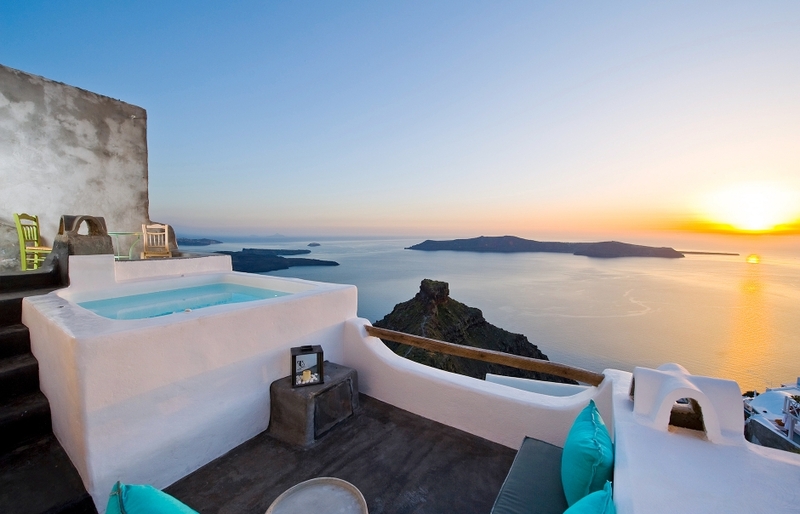 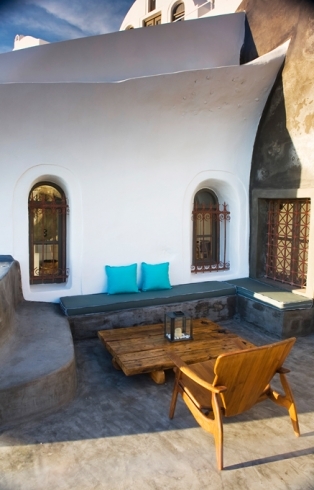 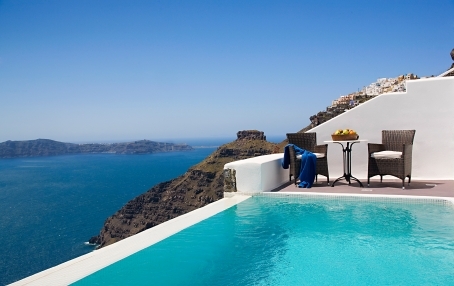 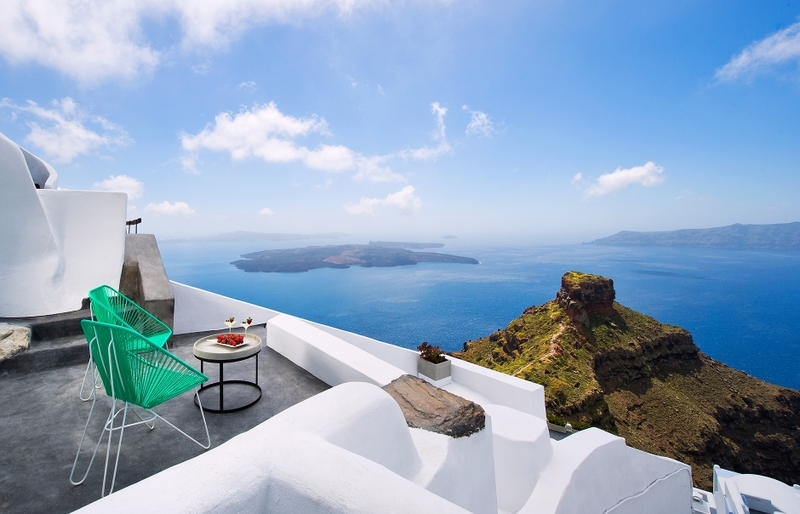 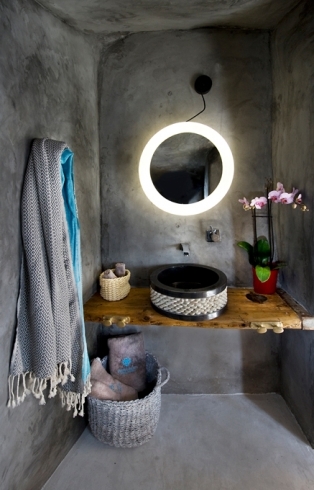 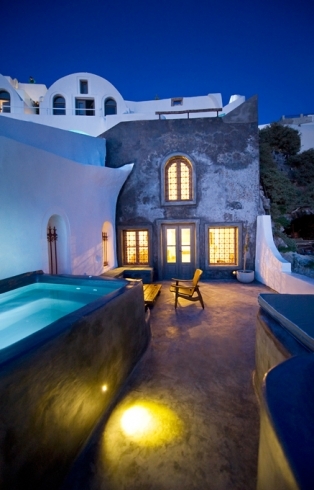 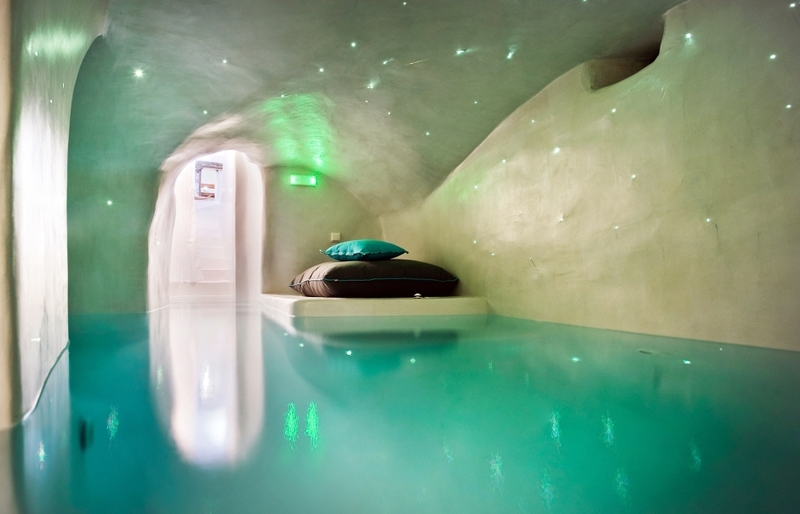 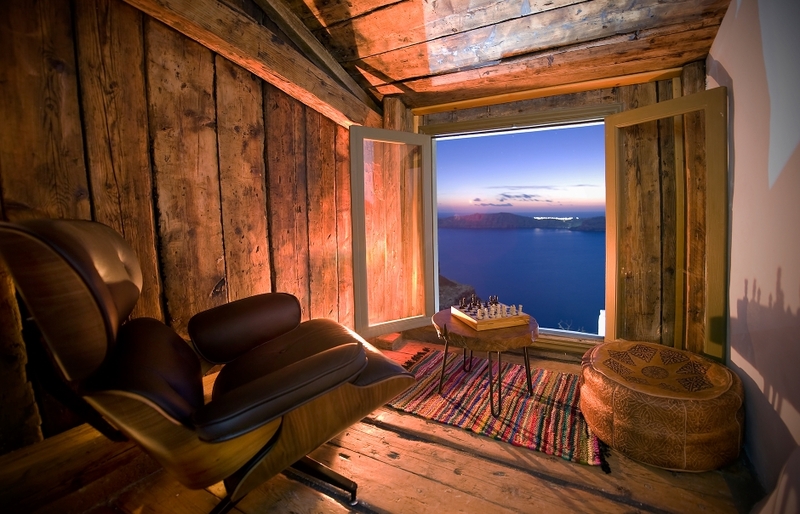 Find out more on the Sophia Luxury Suites Santorini website.